Take Advantage of Summer in the South Bay! Summer has just begun in Manhattan Beach and its time to take advantage. 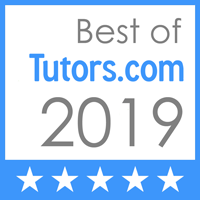 Of course squeezing some time for learning and tutoring is important but I hope you will also take time to enjoy the awesome local events that we are so lucky to have here in Manhattan Beach and the rest of the South Bay. http://www.southbayevents.com/ -This site is great for all those of you tht want to make the most of your summer in the South Bay. It has a detailed list of weekly events, ranging from art exhibitions, summer festivals, midnight fishing, outdoor concerts, and volleyball tournaments. http://www.discoverlosangeles.com/dinela-los-angeles-restaurant-week Includes some great restaurants in the South Bay. Save the dates of July 14-27th, 2014. Here is the summer schedule and more information about Weekly summer concerts held at Polliwog Park in Manhattan Beach. So much fun for the whole family! http://www.mbgp.com/ Manhattan Beach Grand Prix will be held on July 6, 2014. This was founded in 1962 by local racing legend Ted Ernst. It is one of the counry’s longest running bike races. Contestants from all over the world compete in this. http://www.surffestival.org/ This annual festival will be held from July 30-August 3rd. It includes bodysurfing, 6 man Volleyball Tournament, Lifeguard championships, surfing competitions, and swim/paddle competitions. This website includes a list of events for each day. http://www.avp.com/event/mbo-14/ The Manhattan Beach Open held from August 14-17th features many players that have won the Olympics. This website gives more details about the players, ticket sales, location, and stats.